C.A.R.E offers opportunities to create a therapeutic environment right in the center of your home as it relates to dual diagnosis and recovery from addiction. Understanding the home life process is a great way to introduce yourself to the concept of this style of a therapeutic environment. The setting is in your own home. Each family member receives information that outlines the guidelines and rules of what is expected within your therapeutic environment. 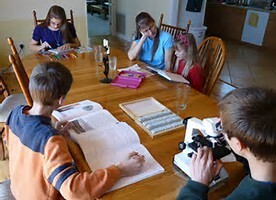 We include information, definitions, and charts which allows each family member a clear view of how this process work. This all begins with each member re-introducing themselves while sharing their goals while in the household, as well as looking at ways to identify different feelings and emotions. There is ample time for questions and reflections. Communication is an essential element within society. In this setting, structured in your home, we focus on some key elements that can affect how each individual relate to each other. We start off with taking a look at the six stages in which communication occurs. Beginning with the sender, we follow how the message works down to the receiver. We highlight some common defense mechanisms such as rationalization, minimizing, as well as denial and the part they play in blocking the message. We examine what effect “self-talk” has and its role in conversation. We conclude with a list of positive affirmations to practice. This meeting provides a host of great tools that will provide you and your family member the confidence you need to engage in meaningful dialog and thought transmission. In the comfort of your own home, all participants discuss how trust should not be taken likely but nurtured into becoming the precious gift that it really is. Here, we provide the textbook definition of trust as well as taking turns sharing what each participant believe trust should be. We end this exercise with some helpful hints on how to create an easy to follow road map to regaining trust. Trust us, you would not want to miss this dynamic thought processing event. Here basic elements pertaining to learning how to manage anger are discussed. We view anger as a secondary emotion, a manifestation of unresolved feelings. These feelings stem from particular needs not being met and/or resolved. The root of anger is traced to its beginning. The differences between anger and aggression are compared and contrasted. In this group the CARE Anger Management workshop is introduced. The focus of Mental Illness is identified and the difference between mental health versus mental illness is explained. In the comfort of your home, individuals will learn some of the key characteristics of what mental health is as well as the definition of mental illness. This is a unique and informative way to learn more about behaviors and medication. This information is valuable for individuals who desire to understand more about themselves. We look at some of the feeling that surrounds discovering having been diagnosed with a mental illness or adjustment problem. We will address how to face your problems and not run from them. We will look at ways to state what you feel and face the issues of life as it is. We know that this can be painful. However by appropriately expressing our feelings, you will discover a process that is both rewarding as well as beneficial when it is aimed towards acceptance of this no-fault illness. This is a great setting on learning how to use “I feel” statements and while practicing “I” messages. Why do people ignore doctors' orders? Three out of four people who failed to fill a prescription believed they did not need or want it. This is alarming. In this setting we will address those issues. We know people who do not take blood pressure medication risk hospitalization or stroke. Women who forget to take birth-control pills risk unwanted pregnancy. Why do people who have a psychiatric issue refuse to take their prescriptions? This setting addresses these questions and many more. For those who have difficulty with medication management, this is a must. Despite advances of medications, many individuals continue to experience unpleasant side effects. These side effects frequently impact on compliance with medication regimes, leading to an exacerbation in symptoms and possible relapse. In this setting, we identify some common adverse reactions to medications and focus on methods to resolving them using several non-pharmacological strategies. We explore some of the “do’s and don’ts” when it comes to dealing with side effects such as weight gain and sedation/tiredness. We review previous methods regarding non-compliance and assist individuals with creating a positive solution towards medication understanding. How does a person define emotions? What part do they play in our lives? Could emotions be interpreted as a way that we respond to or perceive the situation as it relates to our experiences? Do emotions have a physical or a psychological component within our body? Would you consider them the gateway that connects your feelings, actions, and thoughts to one another? We ask these questions and many more during this hour. This is a process to discover why two people can “see” the same thing differently. Healthy choices is about identifying the dynamics of negative attitudes within your daily living and how to contrast them with the benefits maintaining positive ones. We examine some of the main barriers which involves both personal and social characteristic traits. We look closely at how your personality plays a role within the formation of your attitude and how it influences your life spectrum. We conclude with practicing methods that allows you to build on existing strengths as well as gaining a holistic view on health. Stigmas appear in all areas of life. Whether you choose to have a tattoo, a specific religious belief; come from a different background, or have an alcohol/substance abuse problem. Having a stigma can be painful. In this setting, we discuss how they stigmas effect us on a personal level and discover ways to express our feelings about what it’s like to have to deal with someone else’s opinion. We take a deep look at ways to take control over our emotions, and discover the importance of self-reliance. We learn how to identify “triggers” and demonstrate methods of setting healthy boundaries. In this exercise, we examine what goals you want in life and go over different strategies on how to accomplish them. We take an honest inventory of the current skill set that you possess and compare them to what job environment is best suited for your talents. After examining your skills, we explore different techniques on how to enhance and create new skills that you can apply in the community. We examine what inspires you to reach your dreams and determine what steps you can implement in a systematic fashion to achieve the outcome that you desire. What do you see when you wake up in the morning? How do the events of your day turn out? When you close your eyes at night, are you able to rest peacefully? In this setting, based in your home, we examine ways to structure your day-to-day living to achieve the life you have always wanted to experience. Here we practice how to live within the community by using the assertive philosophy. We practice different methods on improving self-esteem and self-worth and how to incorporate these into day-to-day living. This is a powerful tool for those who feel they are stuck in a situation and do not know what to do. Individuals and family focus on accepting how they can no longer blame others for choices they have made. Focus is on tearing down the “defense mask” or irrational thinking (how others are responsible for who you are; what has happened to you; what you are bound to become) by replacing and reinforcing the irrational with the rational thinking that you alone are responsible for determining who you are. This setting explores how choices have affected your life. This is ideal to pierce the shell of denial for those who have difficulty understanding ownership of old behavior.